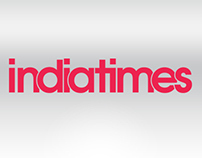 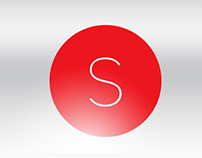 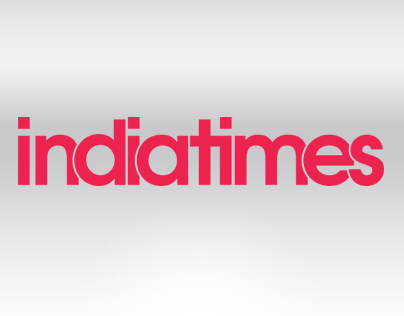 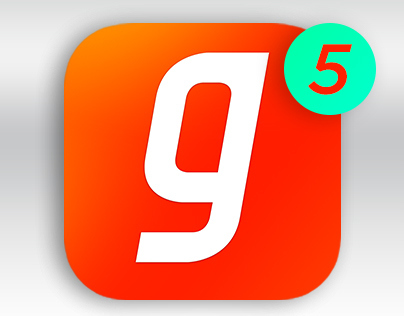 Gaana.com is the premier music site for India where you can search, play and listen to free music online. 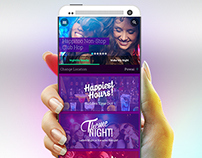 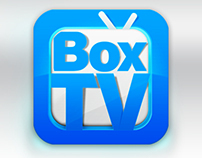 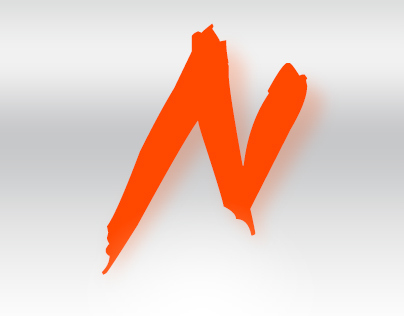 Featuring a huge selection of Indipop, Bollywood music as well as lots of great english music content. 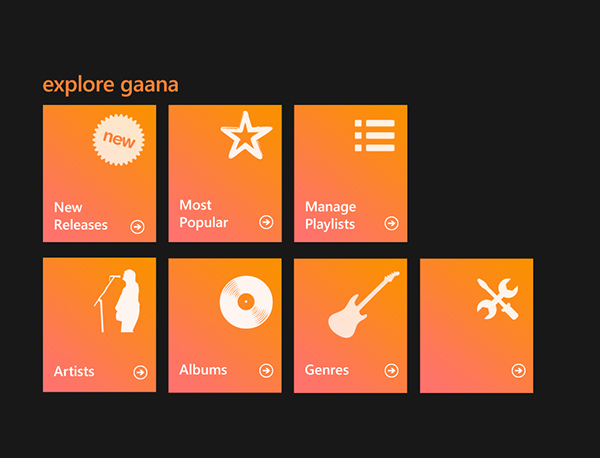 Gaana is now available on the Windows 8 App store for free to download and listen to music on your Windows 8 device. 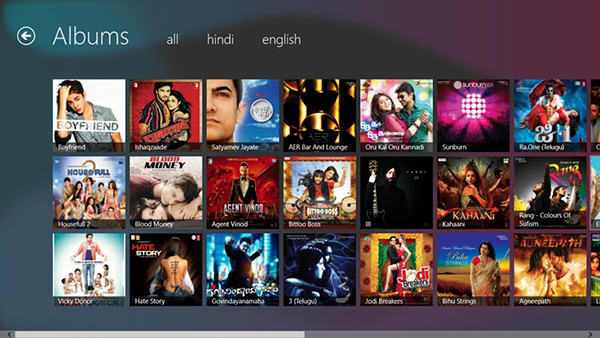 Intuitively made to provide a easy music discovery and listening experience making use of the unique design interface of Windows 8. 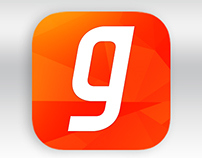 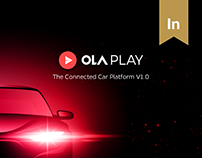 The Gaana app lets you search for music, create your own custom playlists as well as listen to Radio Gaana on the app. 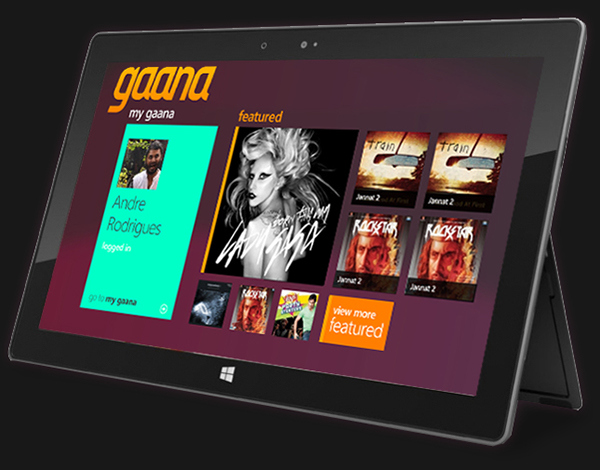 Gaana for Windows 8 is now available on Windows 8 App Store. 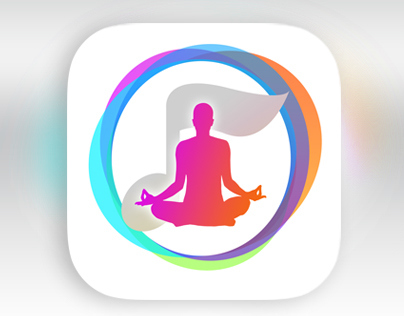 It's free so go get it here now. 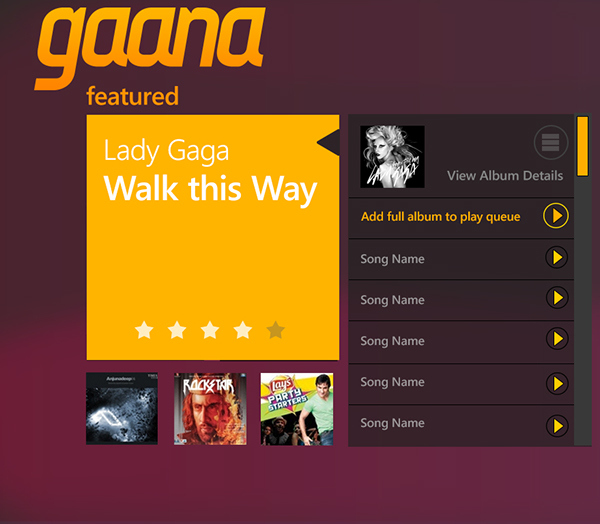 Gaana app for Windows 8. 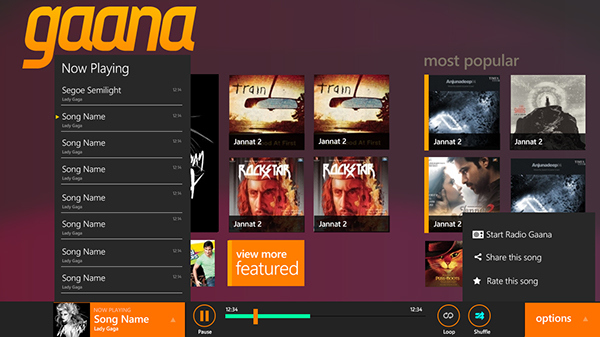 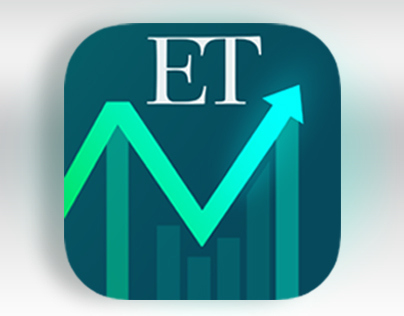 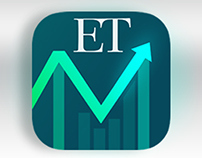 Listen to free music on Windows 8 Gaana app.